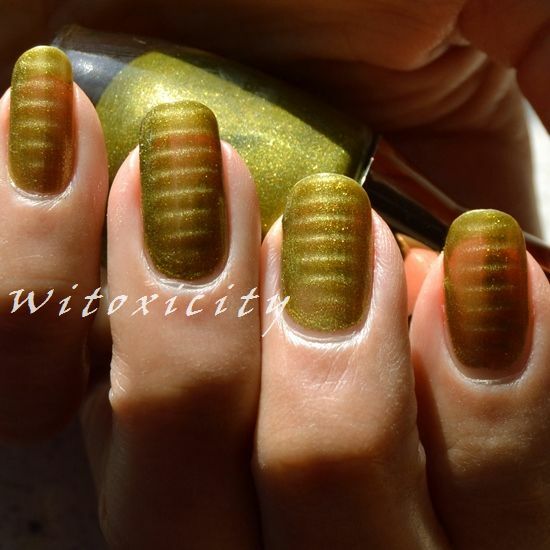 Here's the second Saffron magnetic polish (that I regret buying). You can see the first one, Saffron Magnetic Varnish 03, here. 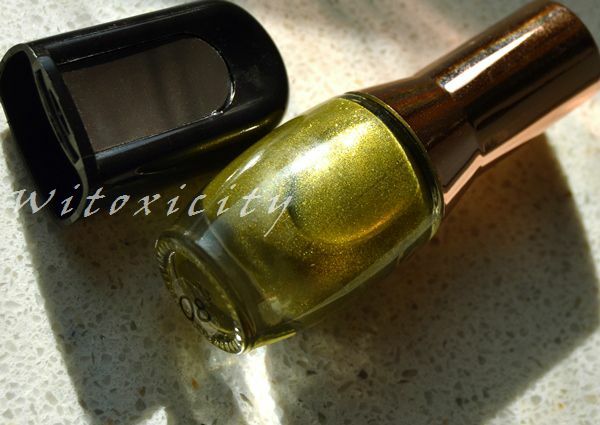 Saffron Magnetic Varnish 08 is a green-tinged yellow polish with heavy, pretty shimmers. Chartreuse is probably a colour that one wouldn't easily take a liking to on nails but this is a shade that I didn't already have in my collection. I guess that justifies the purchase. Ummm, kinda. Honestly, I still think it's a cheapo polish (poor quality bottle cap, a magnet that doesn't work and maaaan, it smells bad too) but with a bit too big of a price tag. It's €4.50 for 9ml and I say this in the context of my easy access to quality and super-affordable nail polishes from brands like Catrice and Essence. Again, I used the magnet from Essence (I repeat: You can trash the Saffron magnet). I had less of a hard time getting the stripes with this polish than I did with 03 but that's only because I knew what to expect this time. I remember you got carried away when purchasing these bottles. Jammer dat de lakken tegenvallen, want het zijn best mooie kleuren. Essence heeft een aantal mooie magnetische nagellakken in het assortiment zitten en die zijn lekker goedkoop. Je moet natuurlijk wel 1 keer een Essence magneet aanschaffen, maar die kost ook niet veel en die werkt wel. Groetjes. Just found your blog and am totally jealous of your KOH! polish collection! 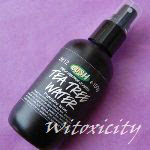 I left you another comment about this, but if you ever want to swap with me I'm more than happy to do so with you!